Bring the tropical vibes of 1920's Miami to your home. The Las Palmas Wall Lamp by Eichholtz harks back to the golden age of glamour. 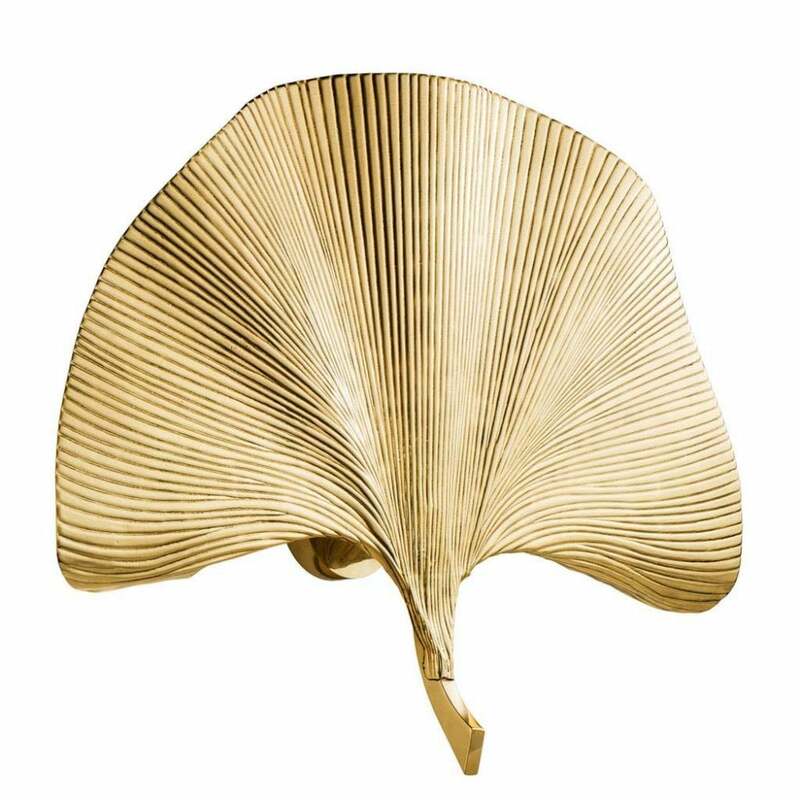 Crafted from polished brass or tarnished silver, the delicate pleats of the palm leaf design will add subtle drama to either side of a fireplace or above a bedside table. Expertly crafted by skilled artisans, this wall lamp is art deco in feel and features a stylish, circular wall mount. Pair with the Las Palmas Floor Lamp for a cohesive interior scheme.